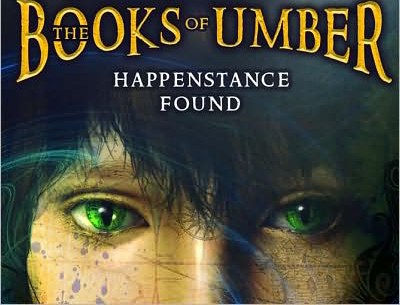 A boy named Happenstance awakens in a lost city buried under tons of volcanic ash. a merchant, explorer, inventor, and chronicler of all things monstrous and magical. is the secret he's desperately trying to keep? You can read the beginning of Chapter One here. all you have to do is touch the eye. This preview features the chapter heading illustrations by artist David Ho, who also created the cover illustration.